You’ve written your book, and you’ve either exhausted your traditional publishing options or decided you want total control over its publication process. You know self-publishing is right for you, but you can’t seem to get the project under way. Here’s how to tell if you’re procrastinating—and how to get the ball rolling! Sometimes, an author’s drive for perfection in his or her writing is genuine. But perfectionism can actually be an excuse to avoid taking risks that might lead to failure. While every writer wants to improve his or her work, it’s important to know that absolute perfection is unattainable. Get critiques, make revisions, have your manuscript proofread—and then take the next step and self-publish! You won’t settle for anything less than an award-winning cover. 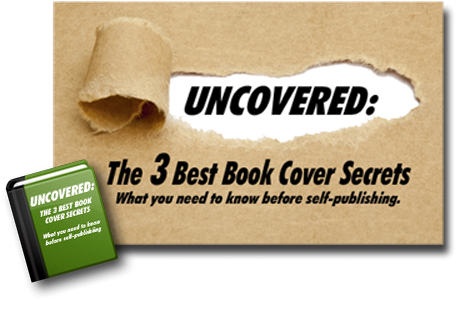 Don’t get us wrong: Good cover design is essential to your self-published book’s success. You definitely need an eye-catching, genre-appropriate cover design that helps you sell your book. And if you don’t have the necessary skills to create a powerful cover yourself, you may be frozen by the fear of choosing the wrong image, typeface, or colors. Don’t let this step paralyze you—hire a professional! You can get started by checking out some professionally predesigned covers. You just don’t have enough time. Self-publishing a book does require an investment of time and energy, especially the first time around. If the process seems too daunting, delegate some of the tasks or hire someone to manage the whole project for you. You’ve already put a lot of yourself into this book; don’t let your busy schedule keep your work from seeing the light of day! You don’t have a game plan. One way to overcome the feeling that you don’t have enough time to self-publish your book is to make a schedule. Decide on a publication date, and then list the tasks that need to be completed before that day. You can break down the process further into easily manageable tasks. For example: If you don’t have time to format the entire manuscript in one day, then just insert the section breaks today, work on the margins and spacing tomorrow, deal with the headers the next day, etc. Keep to your schedule, and you’ll be able to push the PUBLISH button on time! You lack the confidence to push the PUBLISH button. Speaking of pushing that button, there’s no need to hesitate if you’ve built double-checks into your self-publishing game plan. It’s a good idea to have someone else double-check your work—or for you to take the time to double-check tasks you’ve delegated to others. If you’re still afraid to take the final step, remember why you came down this road in the first place: Your book deserves to be in the hands of readers! And remember, too, that one of the advantages of self-publishing is that you can always make post-publication changes if necessary. The decision to self-publish is a big one for a writer to make. It means a commitment of time and effort, but the idea of managing the whole process of publishing your book can be overwhelming to the point of paralysis. Be confident: With the right help and proper planning, you can do it! QUESTION: What’s keeping YOU from self-publishing your book?